Not even nothing existed then, No air yet, and no heaven. Who encased and kept it where? Was water in the darkness there? The self-existent, with breath sans air: That, and that alone was there. Darkness was in darkness found, Like light-less water all around. One emerged, with nothing on, It was from tapas that this was born. In it did Desire, its way did find: The primordial seed born of mind. Sages know deep in the heart: What exists is kin to what does not. Across the void the cord was thrown, The place of every thing was known. Seed-sowers and powers now came by, Impulse below and force on high. Who really knows, and who can swear, How creation arose, when or where! When and how did creation start? Did He do it? Or did He not? Only He up there knows, maybe; Or perhaps, not even He. For most of human history we had no idea how the world or ourselves worked. Most pre-scientific interpretations of universal forces involved spiritual or religious entities -- evil, elemental or ancestral spirits, or god and goddesses that manipulated reality for their own mysterious ends. We like to think we have outgrown the religious or spiritual superstitions of by-gone eras, but the fact remains that we still couch our interpretations of cosmic forces in theoretical or metaphorical terms. We can sweep away false assumptions and still retain our metaphorical relationships. The confluence of non-physical psyche and body forms our experience of reality. It is analogous to wave-particle duality. Carl Jung proposed a convenient hypothesis for the unknown. Complex psychic phenomena share dynamic core elements. The "collective unconscious" is a vast information store containing the entire religious, spiritual and mythological experiences of humanity. According to Jung, these inherited ancient archetypes exist deep with the human psyche and heavily influence our psychophysical being. We access the noumenal via archetypal phenomena. What you "see" is not always what you "get." Many people mistakenly take their own visions literally without "seeing through" the various possibilities that are outside their belief system, knowledge or skill base. Deeper reality is not remote in the physical sense but in a psychological sense. Jung helped differentiate the inscape with his concept of archetypes which express the innate potentials of all dynamics beyond specific forms. Archetypes give form to chaos. Archetypes are universal symbols ingrained in the psyche of human beings, and are interconnected to unfold a meaningful idea or a teaching. Archetypes are also linked to seed ideas and are part of a subtle and refined spiritual teaching method that unfolds the Intuition and Abstract Mind. Depth psychology describes psychic contents with psychic means. Psyche is subject and object, medium and message. Models, questions and proofs all originate in the human mind. And even in physics there is no objective observer outside the universe to experiment on it. Jung contended the common background of physics and depth psychology was psychic as much as physical. This essential third element is transcendental. Both disciplines engage in a reflective interior search for hidden connections along with the outward gaze of scientific inquiry. The archetypes of the collective unconscious are arrayed behind, yet infused in the scenes of our personal lives, and current worldwide conditions of crisis and confusion. They mirror our own states back at us, whether we notice, perceive them as such, or interpret them plausibly or not. We might be fascinated, even obsessed, with the paranormal. Yet without any means to grasp it more than literally, we unconsciously "believe" it concretely. But some of our experiences are self-deluding, not necessarily as we interpret them. The noise of ordinary consciousness and beliefs drowns out the signal. Unconsciousness is the mysterious background of our ordinary awareness. Our whole psychophysical organism is very much at the center of such effects. The organismic source is our human bodies and the focus of human consciousness. The fantasy principle dethrones reality, but can be dissociative or compensatory. The human mind is a meme-scape, subject to the distortions of cultural "viruses." Pre-conceived concepts vie with structures, concepts with images, constructions with deconstruction and spectacle. We bamboozle ourselves. Unless we apply certain illuminative processes to our deeper life, it remains hidden in the shadows. The patterns expressed by archetypes remain beyond our awareness. We stay in the dark about much of our being. Like scientists who ignore their own assumed truths, we leapfrog over our beliefs and personality deficits, claiming idiosyncratic imagination as literal reality. It couldn't be further from the existential truth and symbolism is utterly lost. Superstitiously looking for signs or mind-blowing synchronicities is no substitute for actively interacting in the process. Most fantasy-based individuals are at a complete loss to coherently explain their own conventional behavior much less anomalous events and their deep meaning, or the cultural unconscious, or mythological unconscious matrix. But they try, and become utterly entrenched in their belief that they are right about the nature of the world and reality. We have pseudo-memories about our personal lives. Why not moreso for our collective life? The subject matter often revolves around catastrophe, creation and the mythopoeic forces of mankind. Ignorant of such dynamics, interpretive mistakes and displaced psychic contents proliferate into errors of fact. Propaganda, media distortions, memes, and disinformation compound the social problem of misapprehension further. In a holographic universe, even time and space cab no longer be viewed as fundamentals. Concepts such as location break down in a universe in which nothing is truly separate from anything else. Time and three-dimensional space also have to be viewed as projections of this deeper order. 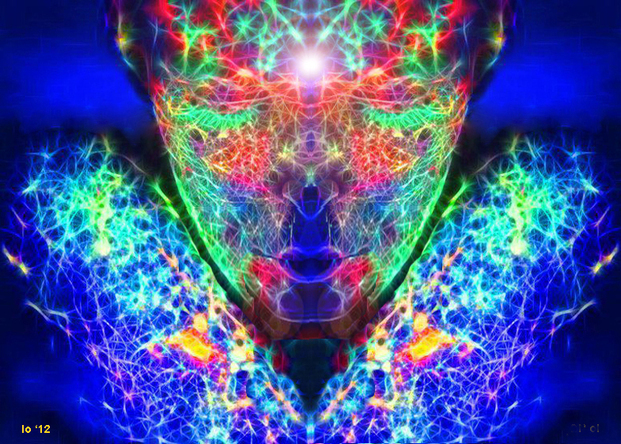 Core mystical experiences of transformation usher us into this holographic domain of pure frequencies, altered states of consciousness, and revelations. Symbols arise from and are embedded in the environment as holographic fields of energy. They are morphogenic veils of primal forces. 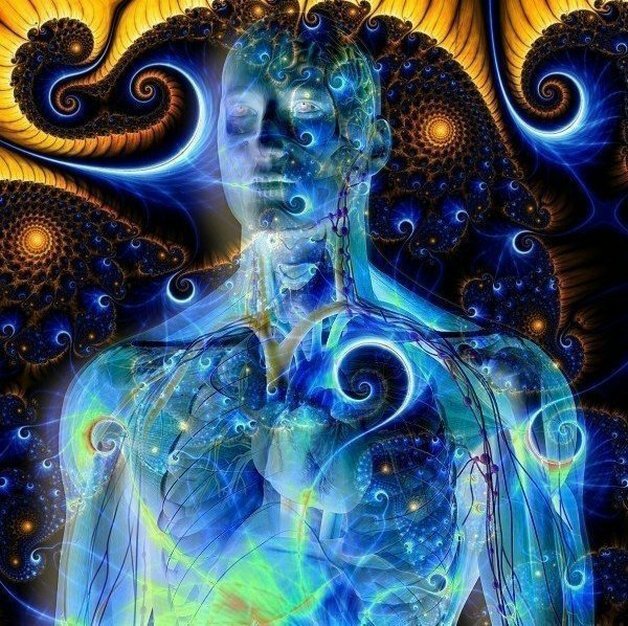 If your brain acts like a self-contained hologram, it is ossible your consciousness is actually a piece of a much larger hologram of overall human consciousness. Jung noticed that patterns spontaneously appear over and over around the world. They also appear as our Ancestral Memories or holographic wisdom field. In the archetypal world, everyone is the same, all around the world... we are all Gods, and our emotional addictions to pain and suffering, contempt, insecurities, doubt, failure, is holographically-recorded and can be holographically healed. All archetypes are a form of human expression that is both holographic and physical. Physical formations of archetypal sequences cause humans to behave in parallel manners to each ancestor that is associated. Integration is a function of intentionality -- conscious and unconsciously maintained, or incorporated. Integration occurs both without effort, as a redesign of the central processor of our minds, and voluntarily as a deliberate effort to understand, find meaning, and as rectification of our behavior towards others and towards ourselves. With archetypes come the potential for wisdom, relatedness, sociality, ambiguity, paranoia, projection, identification, denial, inflation, subpersonalities (fragmentation), defensiveness, obsession, hypnotic dissociation, the contagion of participation mystique, mythologizing, complexes, compensation, and self-delusion. Compensation may calm or disturb consciousness. There is no imperative for the ego to integrate these alternative perspectives, private and public myths. The unconscious can produce deep wisdom and utter nonsense. It is up to the ego to discriminate. The value of myths is purely heuristic, not pragmatic. Mythological consciousness has a persona, cultural and archetypal dimension that manifestin dreams, fantasies, delusion and visions. Confabulation occurs in particular when people study and retrieve their individual notions of the spiritual practices and histories of by-gone eras, which brings "old wine in new bottles" (OWINB), old superstitions into the attention and worldview of the person. You cannot know a culture without living in it, and pretending you did is even more ineffectual. You can hopelessly interweave it with commonly accepted facts, dressing it in the Emperor's clothes of plausibility. Robert Anton Wilson called such retrievals "reality wormholes", and cautioned against taking them literally. Joining with others in "movements" just amplifies and co-opts personal experience into a sociopolitical agenda. Anthropologists of religion have long grappled with the figure of the 'trickster' - the playful, deceitful, shape-shifting archetypical spirit whose resistance to categorical stasis and ontological certainty is a reminder that cosmology can often escape human determination and containment. Through diverse ethnographic instances and contexts, we explore the idea of 'anthropological tricksters' in the more encompassing domains of politics, kinship, and social identity, where ambiguity may not be just transitive but indeed constitutive. The field is exploring novel ways of recording and theorizing ontological transgressiveness and transformation. One may notice that even now some people think of physical life and also spiritual life. Much of the physical life IS strongly repeatable, but not all. And much of the spiritual life is rarely repeatable and certainly not on our whim and control. So, some paradigm transition, some adjustment in the world-modeling is deeply warranted. (Doctoral dissertation, Pacifica Graduate Institute, 2003). There are similarities between the patterns of holography and of psychological transference, where holography is the process of recording and reconstructing holograms. Employing a theoretical perspective using a hermeneutic method, this dissertation parallels holography with transference, offering another way to encounter transference by showing similarities between the processes of each and the results of each. Though complex, infinitely varying, and unique, their patterns are clearly identifiable. Thus they are a metaphorical fit to the concept of strange attractors in physics and a more literal fit to the concept of archetypes in depth psychology or dynamic psychology, which attends to the living, autonomous unconscious. The underlying pattern or strange attraction between transference and holography extends to other processes both within and outside the field of psychology. The visual image of the overall hologram is present in each component part of the hologram, the autonomy of the overall human is present in each conscious and unconscious component part of the human psyche. Burke, Joseph. The Rainmaker’s Reality and the Holographic Archetype. Psychological Perspectives. 50/1, 2007. A Jungian psychotherapist evokes the luminous feature which suffuses deep religion and science by way of the optical hologram whence each iota contains a refraction of the whole image. From the Sefirot and Indra’s web to our intricate, nested psyche and on to an ascendant similarity from galaxies to Gaia, the same pattern and process holds and recurs everywhere. Shift happens. It is the ground that is the medium, for the most part, and the figure-ground relationship that creates the message. It is the capability of the underlying medium to appear in and through fundamental changes and to sustain fundamental change in this way which is the message (mission), the sending.